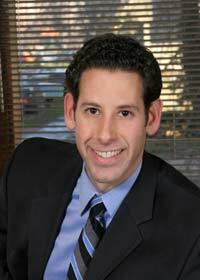 Trial attorney Allan M. Siegel has tried and settled hundreds of cases in the District of Columbia, Maryland and Virginia. He has distinguished himself in the legal community by routinely taking what others have deemed to be ordinary, or even impossible cases and attaining extraordinary results. His dedication and perseverance, combined with his courtroom skills, has quickly earned him respect among his peers. He has been named one of Washington’s “Top Lawyers” by Washingtonian Magazine on three occasions, in December 2004, December 2007, and December 2009. The Washingtonian compiles this list by contacting local attorneys in the personal injury field and asking them who they would choose to represent them if they needed legal assistance.